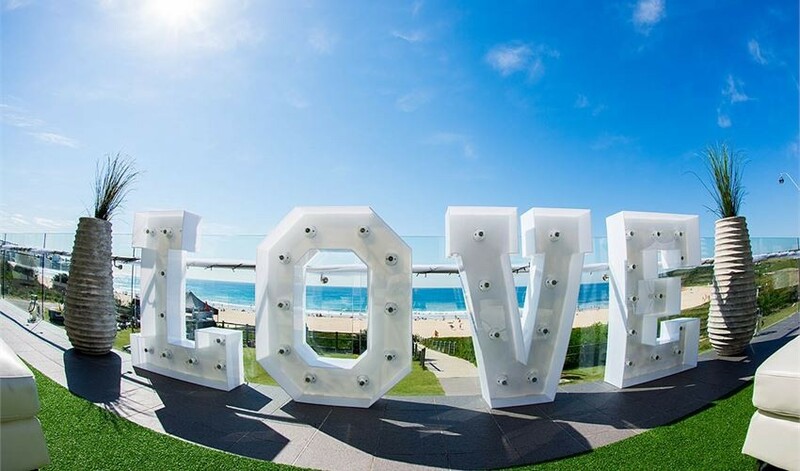 You’ll find a lot of wedding venues along Sydney beaches, though it’s challenging to find one that gives you nearly uninterrupted views from every vantage point. Sydney Eastern Suburbs venue Horizons Maroubra is one good example where you’ll find the largest beach views in the entire Aussie Mainland. One thing about Horizons you’ll find extra appealing is they’re open seven days a week and can hold up to 250 guests, or 350 seated people. It’s hard to find a beach resort this large, even if it’s necessary to host every family member and friend in your life. The size of Horizons makes it all the better to house your wedding entertainment. At Lily Road we can provide the perfect wedding singer or Sydney wedding band to match this unique beach setting. Look around online and you’ll see many people describe Horizons as a hidden gem, located along Maroubra Beach. You’ll find this retreat just above the South Maroubra Surf Lifesaving Club. Access to the venue is very easy from the Sydney airport. It’s only a 10-minute drive, and you’re only a 15-minute drive to the CBD. A major standout for Horizons is how it combines parkland with the beach so you get the best of two natural environments. Those of you who appreciate being around nature for more meaning are going to appreciate the views here, including for wedding photography. It’s all within the Arthur Bryne Reserve, which continually preserves the landscape here for your benefit. It’s possible to hold much of your wedding reception right near the beach thanks to Horizons’ front glass balcony. With shielding, you won’t feel overwhelmed by the ocean breezes. At the same time, you’ll have open views to enjoy the stunning panorama of Maroubra Beach. Your wedding ceremony can take place here if you so choose. Or, it’s possible to bring in your wedding entertainers. Our Lily Road Band can easily perform in places like this, adding to the beauty around you. If you prefer a beach theme to your wedding, we can play any song from any era. We help match you with just the right wedding singers and the perfect repertoire. The main catering company out of Horizons is Top Cat Catering. They already have 30 years experience catering wedding events throughout Sydney. Horizons did right in hiring them in-house, because they offer some standout services you can’t always find. One of those is in acting as consultants on your cakes and decor for your wedding event. Top Cat also assigns a wedding coordinator who makes sure everything goes off without a hitch on the big day. This takes pressure off you and your spouse in assuring nothing goes awry. Our Lily Road Band can work seamlessly with your wedding coordinator to make the experience even more enjoyable. Whether playing outdoors, or within the nearby venue, we’ll play songs for weddings appropriate to the moment. We know what works for either formal sit-down or stand-up parties. Horizons has a newly refurbished venue to house a large wedding band, or just one wedding singer. The company even built a dance floor, something we always appreciate playing to. Facilities we need to perform are all widely available inside, including DJ equipment. Most importantly, Horizons provides an entertainment license for you so you don’t have to seek it out yourself. It helps us in making the process of entertaining you all the easier.